Gum disease, also known as periodontal disease, affects more than half of the American adult population, according to the CDC. Fortunately, this oral health problem can be treated. The doctors at Advanced & Comfort Dentistry provide gum disease treatment in Whitehall, Pennsylvania, for men and women of all ages. Learn more about gum disease by calling the practice, or schedule an appointment online. Gum disease is a progressive infection in the mouth that develops when excessive plaque and tartar build up around the base of the tooth and create deep pockets around the gum line. These pockets attract bacteria which leads to an infection. If left untreated, this can start to wear down gum tissue and also break down bone. Bone loss can lead to complete tooth loss and a host of other oral health problems, which is why early treatment and preventive care are essential for maintaining healthy gums and teeth. What are gum disease treatment options? The Smile Team at Advanced & Comfort Dentistry provides customized gum disease treatment to ensure patients have infection-free gums and can maintain healthy gums throughout their lifetime. Scaling and root planing involves removing infected tissue and plaque buildup below the gum line to restore gum health. Oral surgery might be needed in severe cases. Preventive care is critical for maintaining results after surgery and might involve more frequent dental cleanings and checkups, using a medicated mouthwash, and making lifestyle changes to keep your gums healthy. Learn more about gum disease treatment options and prevention by calling our practice, or schedule an appointment online. Advanced & Comfort Dentistry is dedicated to providing our patients with the best dental services. 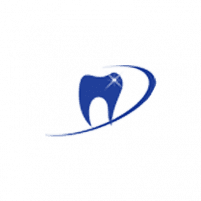 In order to do so, we provide a wide array of services ranging from Family & General Dentistry, Cosmetic Dentistry, and Implant Dentistry. If you have any questions in regards to the services we provide, please contact our office and a member of our staff and team of doctors will happily assist.